Adem earned his B.Pharm. & MSc from Addis Ababa University, School of Pharmacy, Ethiopia. He then worked in different posts at the same school, ranging from graduate assistant to lecturer. In 2012, Adem was awarded a Swedish Institute Study Scholarship (SI) to pursue his Master’s in Public Health at Lund University, Sweden. While in the programme, he joined the Genetic and Molecular Epidemiology unit led by Professor Paul Franks as a research assistant where he developed an interest in genetic epidemiology. A specific interest in the genetics of drug response led him to join Professor Pearson’s group at Pat Macpherson Centre for Pharmacogenetics and Pharmacogenomics in the division of Population Health and Genomics, University of Dundee, UK. Funded by the IMI-DIRECT, Adem obtained his PhD in clinical and genetic determinants of drug response in type 2 diabetes from the University of Dundee. His main research interests are the pharmacogenetics of commonly used drugs in diabetes. 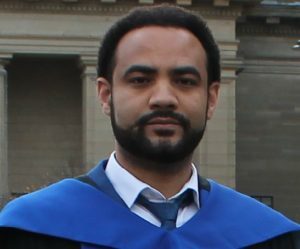 Currently he is working as a postdoctoral researcher at University of Dundee to discover genetic variants that determine why patients respond differently to the same drug and identify sub-groups who are likely to develop adverse reactions with the goal to optimize the management of type 2 diabetes through a more stratified approach. Name of Project: Diabetes epidemiologists’ network in Sub-Saharan Africa: developing capability, partnerships and research (DENSSA). The Diabetes epidemiologists’ network in Sub-Saharan Africa (DENSSA) aims to bring together researchers and clinical practitioners from Ethiopia and Nigeria to empower a new generation of researchers and to develop novel strategies to understand the burden of diabetes and its consequences for effective prevention and improvement of long-term health outcomes. A pilot project will be undertaken to evaluate methods to collect diabetes prevalence and outcome data, with a view to seeking funding to implement a large-scale study to generate regional and national data for diabetes prevalence and burden of disease in sub-Saharan Africa. These research findings will have the potential to be used to inform comprehensive diabetes prevention programmes and design cost-effective interventions to improve diabetes care and treatment for LIC and LMIC settings. The following article was written by John Norgrove, Co-founder and Trustee of the Linda Norgrove Foundation. It’s not that surprising to hear that there is a shortage of doctors in Afghanistan but, crucially, it’s the lack of female doctors which impacts on women’s health. It’s culturally difficult for many women to be allowed to be helped by a male doctor, especially with gynaecological issues, and there just aren’t that many female doctors. This situation results in the highest level of maternal birth mortality in the world. 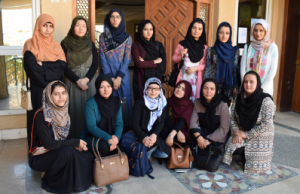 To address this, over the past few years, LNF has developed a programme of providing fee scholarships allowing young Afghan women to study medicine for five years. Next year will be a milestone because two scholarship students will graduate and will need to arrange practical training for a couple of years before they can apply to become registered to practise as doctors. Little is straightforward in Afghanistan – a GP system adequately funded by the state doesn’t exist, hospitals have a shortage of experienced surgeons to lead, equipment is outdated, and it can be difficult for women to work alongside men. But there’s little point in funding women to spend five years studying if they are then unable to obtain good practical training, so LNF are investigating what options are available and whether they might be able to set up a quality training programme for their graduates to follow. Fortunately, they are now being helped by volunteer academics and medics from the University of Dundee who, having relevant experience and knowledge, are working to identify the best organisations to team up with and what training to provide. The next stage for them will be to research likely sources of grant funding for the programme. The Linda Norgrove Foundation was set up in memory of the Scottish aid worker who was kidnapped and subsequently died during a failed rescue attempt in Afghanistan in October 2010. The charity, run by her parents from their croft on the Isle of Lewis, gives small grants to women and children affected by the war in Afghanistan. Currently LNF provides 34 medical scholarships, giving a flat rate grant of $1,500 pa. Competition for these scholarships is intense, last Autumn there were over 170 applications for just 12 places. Whilst some of the scholarships are funded from their own resources, most come from generous individuals, mainly Scottish, who have signed up to pay for a young woman’s studies for the full five years. Their donations go undiminished to the women they support. LNF grants certainly change the lives of individual women in Afghanistan – this is a fairly typical story of one of the women who was successful in receiving a scholarship. Amina is from the small town of Ishkashim in the remote Afghan northeast. Amina did well at school but her shopkeeper father forcibly married her off at 16. It didn’t work and she was back home within a year. Currently she lives at home in a household of 12 because her father also supports the family of her uncle who is addicted to drugs. As a very attractive young woman, she was afraid that her father would sell her to somebody else. With an LNF scholarship, that changed. Fulbright Scholar at Columbia University, New York. He is a Fellow of the Royal Colleges of Physicians of London and Edinburgh and the American College of Cardiology. 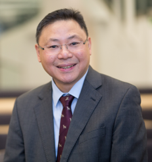 His research takes a multi-disciplinary approach to the understanding of pathophysiology and pharmacogenetics of cardiovascular diseases and the development of treatment strategies in patients with cardiovascular diseases. He leads an integrated cardiovascular research laboratory dedicated to the study of cardiac/vasomotor regulation. These techniques are applied towards translational research and the development of biomarkers/novel treatment strategies in patients with cardiovascular diseases. A wide range of funding bodies including the British Heart Foundation, MRC, Chief Scientist Office, Chest Heart and Stroke Scotland and the European commission funds his research. Cardiovascular complications are common in Diabetes and the human and socio-economic burdens remain significant, particularly in LMICs. National and global initiatives are urgently needed for early detection and effective management of cardiovascular (CV) complications of diabetes. BNP and hsTnT biomarker analyses are routinely used in the diagnosis and prognosis of heart failure. Such tests are sensitive, specific, easy to conduct and relatively cheap to perform. We have developed an innovative approach using these blood biomarkers as predictors for primary prevention of CV events in Scottish diabetic patients. However, diabetes and the spectrum of cardiac complications in Europeans are very different from non-Europeans, especially amongst South Asian populations. We are to investigate the utility of BNP/hsTnT phenotype in detecting multiple, silent cardiac abnormalities in diabetic patients in LMICs. The study is being conducted in collaboration with Dr Mohan of the Madras Diabetes Research Foundation (MDRF). We are performing blood tests in Dundee, on samples from 300 asymptomatic diabetic patients provided by MDRF. These same patients have, or are currently undergoing comprehensive cardiac investigations performed by Dr Mohan’s research team. The biomarker data when aligned to the clinical data emerging from Madras team will be used to provide underpinning evidence for a larger biomarker-outcome clinical trial that is needed to change clinical practice in LMICs. This project will enhance existing collaborations, encourage data exchange and so inform future strategic partnership forums that can go forward with applications for project/programme funding.